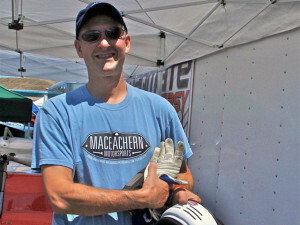 Brian MacEachern began his racing career as an apprentice race mechanic on the Ludwig Hiemrath 934/935 Porsche race team in 1977. In 1982 at the age of 22, he began SVRA vintage racing with his father Bill in their 1956 Lotus IX Le Mans. He took the Lotus to the Bonneville Salt Flats in 1992 and ﬁnished first in the unblown H/modified/sport class at 138.954 MPH, the ﬁrst Lotus XI to win a class at Bonneville. He also won the Group 4 Dunlop Challenge Cup series in 1986. He and Bob Fergus enjoyed a decade of competitive racing and friendship in their Lotus’s 15 & 11. Hazel and Clive Chapman presented him the award for the best Lotus driver at the Monterey Historics. 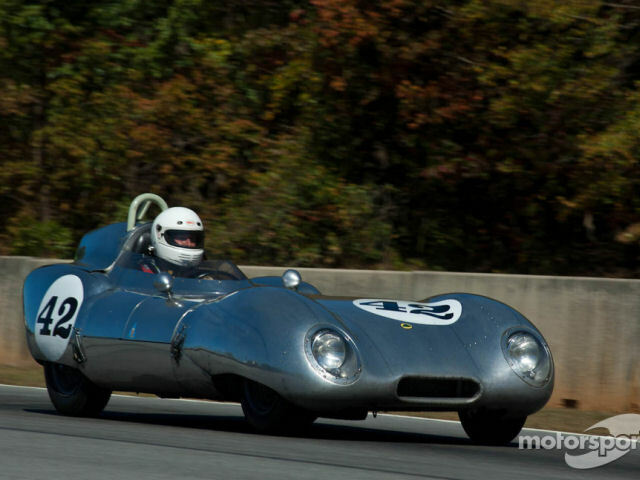 He turned his mechanical skills into a business servicing vintage racecars and engines, and presently operates MacEachern Motor Sports out of Ashville, North Carolina.